Juan Romo was born in Jalisco, Mexico and came to this country when he was six years old. He started working in the restaurant business when he was fourteen and opened his first restaurant when he was twenty three and has owned fourteen restaurants, bars and clubs throughout his career. Currently Juan owns and operates the following well known restaurants in the SF Bay Area: La Mission Mexican Grill, Berkeley, Casa Latina Bakery, Berkeley, Talavera Mexican Grill, Berkeley, Tacos Club, San Francisco, Monte-Cristo Taqueria, Berkeley, The Castro Republic, San Francisco, T-REX Smokehouse and Bar, Berkeley and La Capilla which just opened. Juan’s philosophy in life is that is more important to give rather then to take. Juan is a positive, passionate person who always strives to give opportunities to people and especially to his employees. 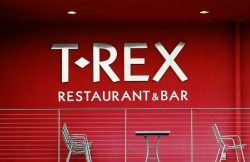 He has sold some of his past restaurants on a preferred basis to his dedicated hard working employees to show his appreciation to them for their hard work and strong results. Juan certainly walks his talk in upholding his philosophy. 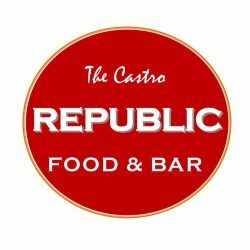 Restaurant Realty had the pleasure of recently selling to Juan–T-Rex in Berkeley and The Castro Republic in San Francisco and we wish Juan continued success in all his future endeavors.